Richard Mille’s new limited edition RM011 Ti Americas White watch was made in honor of the 2010 Winter Olympics in Vancouver, Canada. The watch will only be available in North America, making it one of those rare regional limited edition timepieces for USA and Canadian shores. 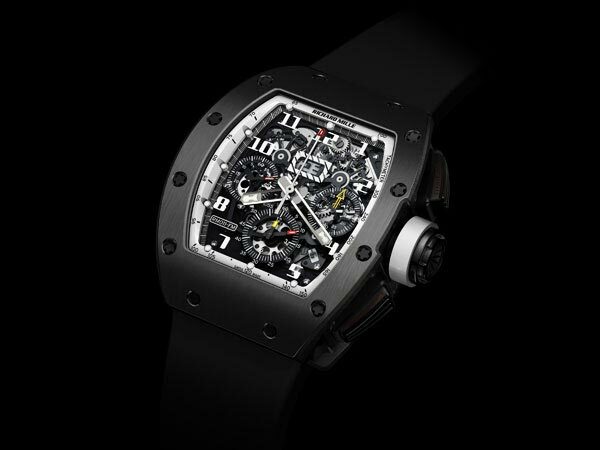 The 40mm wide by 50mm tall case is in DLC (diamond like carbon) coated titanium for strength and scratch resistance. Night turns to day as the dark sheen of the case shifts to the bright white chapter ring, giving the RM011 Ti Americas White watch its name. Another white ring around the large crown helps assert the wintery white concept. The watch features a series of useful complications including a 60-minute countdown timer, 12-hour chronograph, an annual calendar with a big-date window as well as a smaller numerical month indicator, and of course the time via large hands tipped with lume filled arrows. Countdown timers are rare on mechanical watches. A subsidiary dial counts down from 60 minutes while chronograph hands counts up. Completion of the racing theme includes a tachymeter scale (to measure speed with the chronograph based on a distance marker reference point) on the white chapter ring. 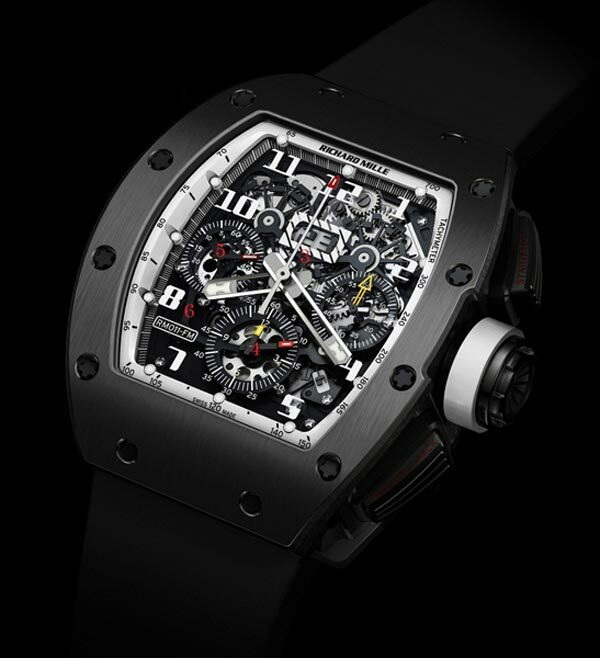 Priced at $90,000, the RM011 Ti Americas White watch will be limited to just 30 pieces, but those who’ll miss out on this can get other versions of the Richard Mille RM011 watch.